Successfully Added VGA + Audio to HDMI Convertor to your Shopping Cart. The easiest way to get your computer display onto your new HD television is with this handy VGA to HDMI converter. 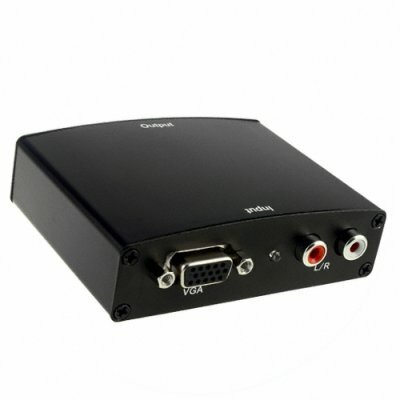 This unit will take an analog video input from a 15 pin VGA connector and a stereo RCA input and convert them to a digital HDMI signal with stereo output. With support for resolutions up to and including 1080P and automatic syncing all you have to do is plug it in. No more complicated graphics card driver setup, no more birds nest of breakout boxes and wires, just install the CVSB-018 and make life simple! Available straight to you from Chinavasion at an excellent wholesale price and backed by our famous 12 month warranty. Order yours today!